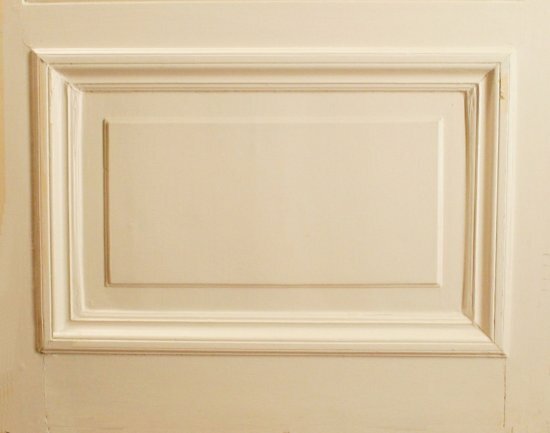 Large French entrance way set, comprising of 3 fixed transom tops and 3 doors. 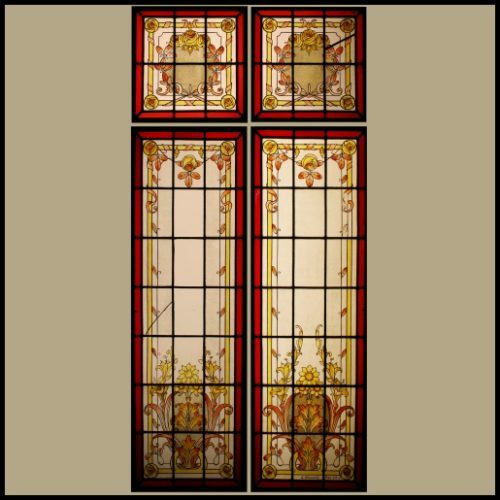 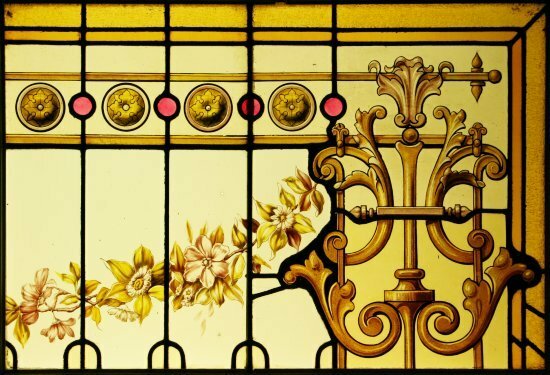 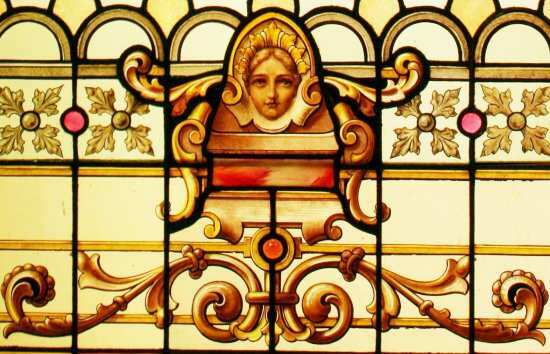 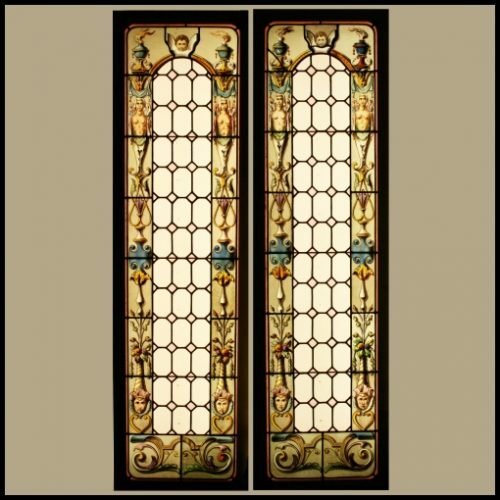 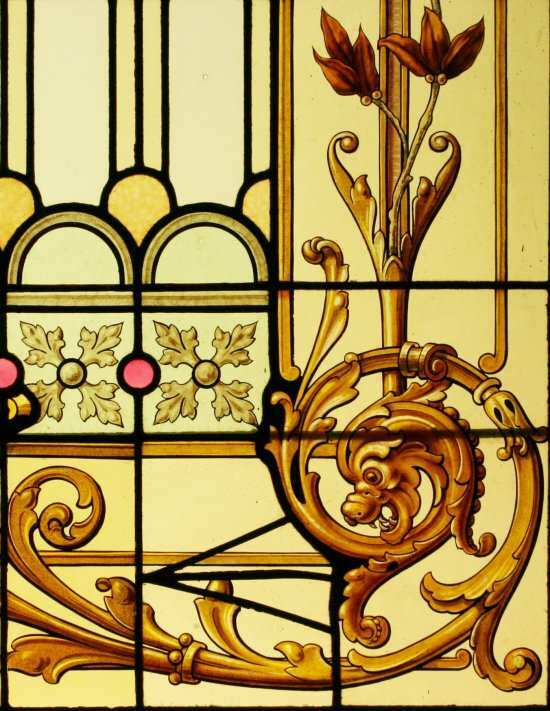 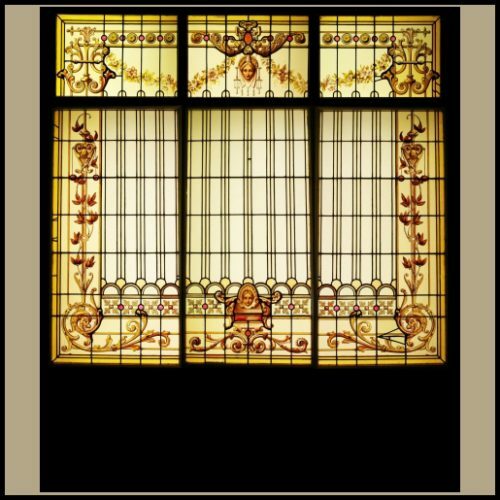 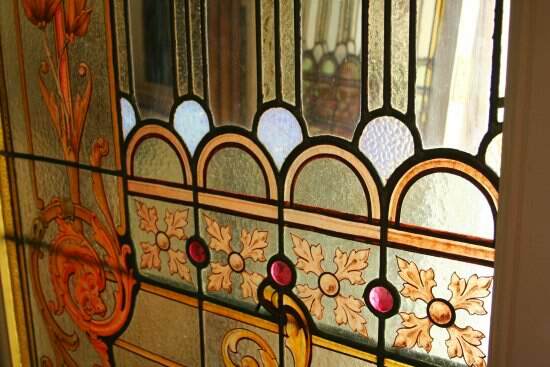 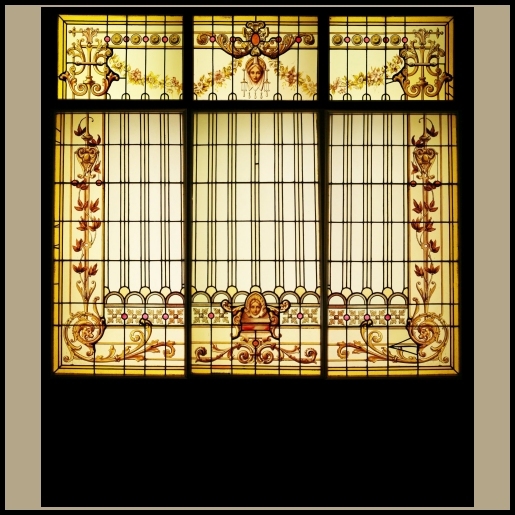 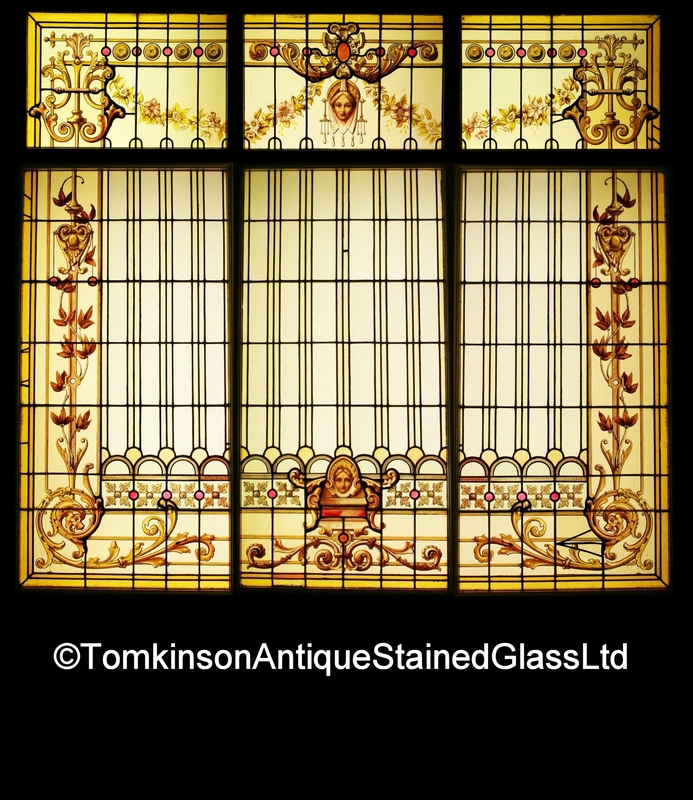 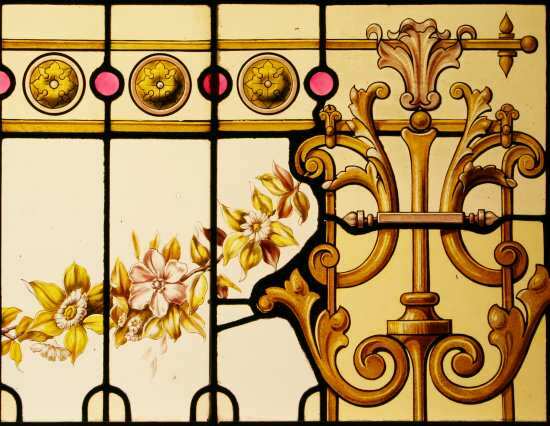 Each are leaded with a mixture of clear and obscure coloured glass and hand painted in the Rococo artistic movement style. 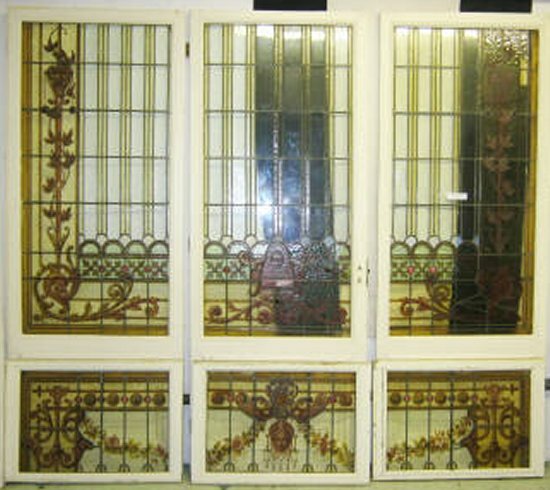 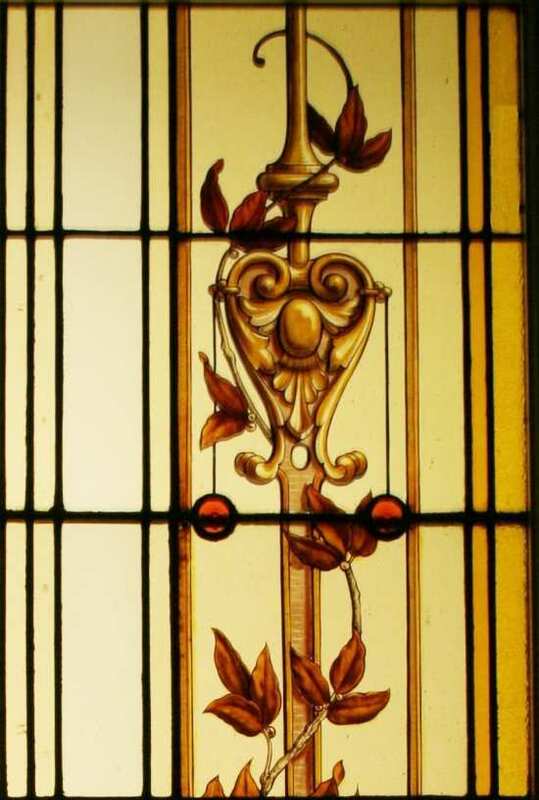 The glass is decorated with garlands of flowers, swirls of Acanthus leaves, Lions and Lady faces, beautifully painted using flesh tone, enamel and silver stain paints and restored with slight lead strap restoration The pine wooden frames have raised panels, brass hinges and are in excellent condition. 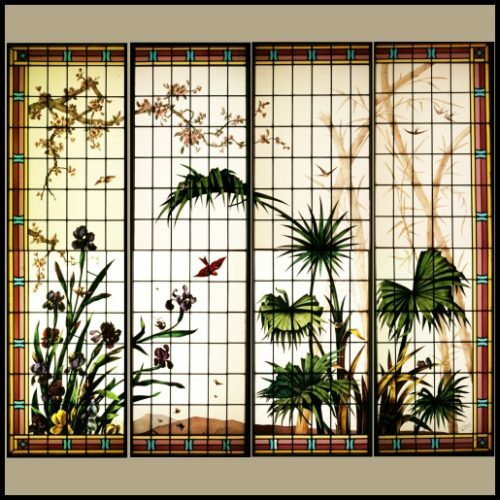 Ideal for a conservatory, sunroom or orangery.